If your jewelry is in serious need of some summer transitioning, then you’re in luck. We found a few pieces that will refresh and give life to any outfit you choose to sweat in this summer. Plus, there’s nothing like a little bling to spice up your outfit every once in awhile. We have a feeling you’ll love the western and boho vibes these baubles give off. 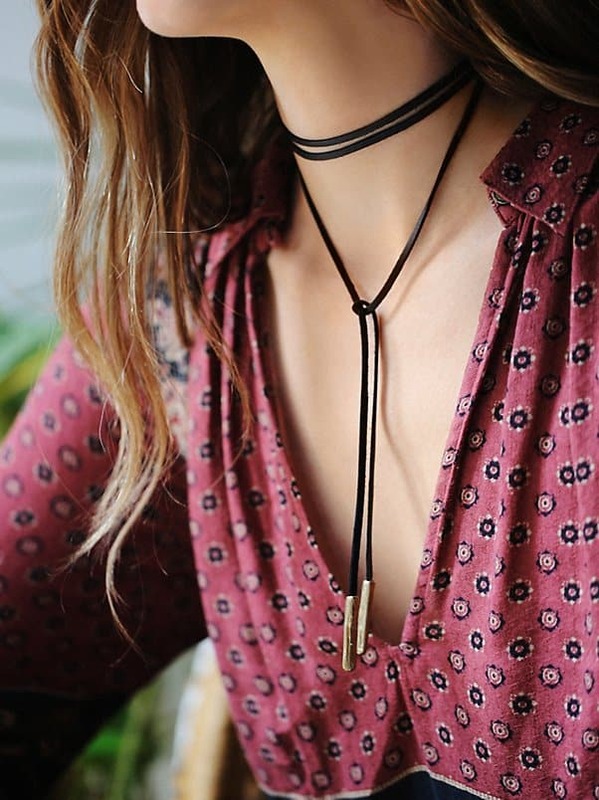 Flawed Leather Wrap Bolo, $78, Free People.